Excellent condition White wall mount am radio with seven transistors, plastic. Center round two part dial; the outside is for tuning and the inside is for volume control; on/off switch is a pull cord at bottom of case. 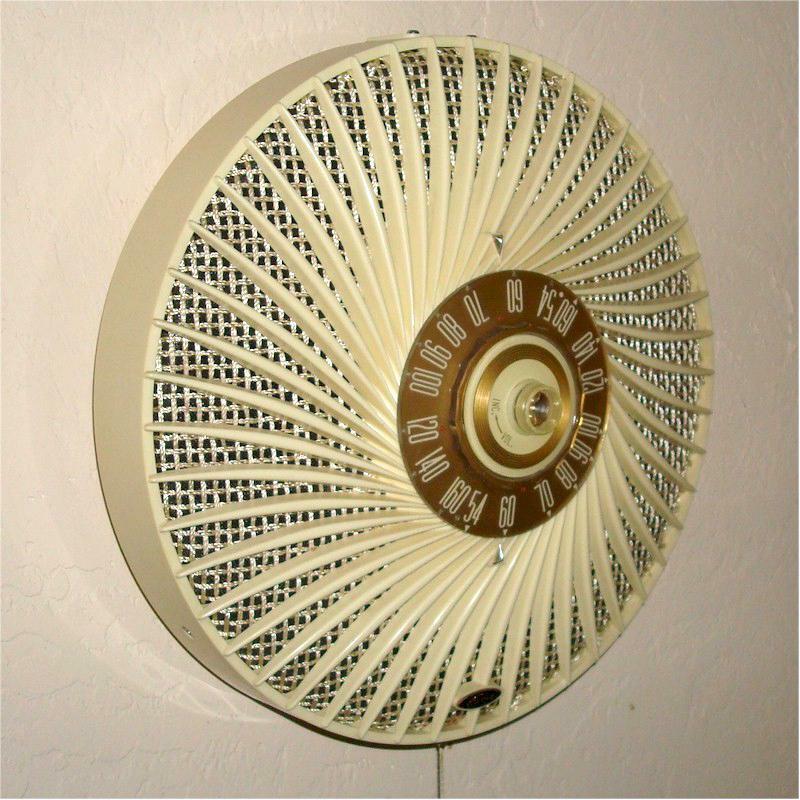 The grille area surrounds the dial and has 48 curved plastic spokes with two speakers. This is a beautiful example of this radio. It is almost perfect. No cracks or chips. Plastic case shines. Works perfectly. Sounds really great. Big radio at 12" diameter 4"D.
You are visitor number 2,566 to this page.